those are some snowy shoes!! Man, I do not miss snow (originally from upstate NY). 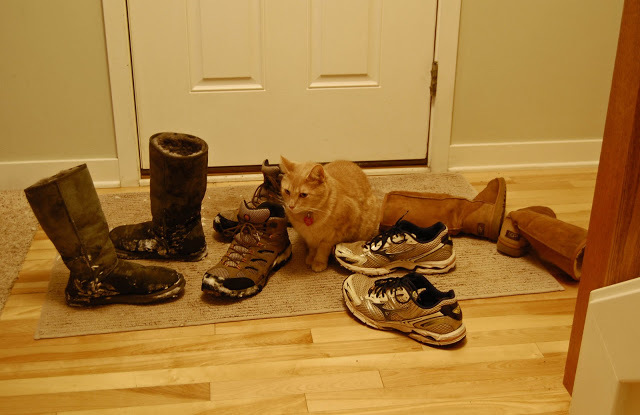 I just remember piling up the boots and then later when you walk by, the snow melts on the floor and your socks get wet. I hate that! The snow on those shoes made my feet cold! I'm so glad we don't have snow yet down here in the south!